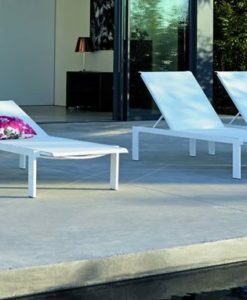 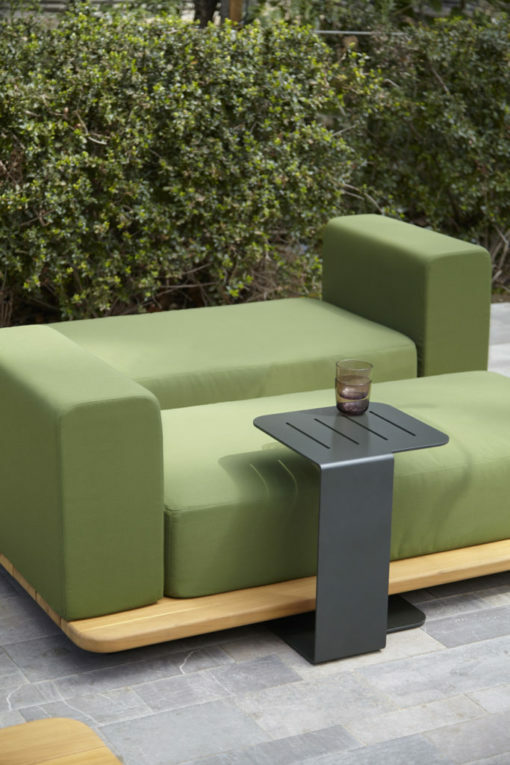 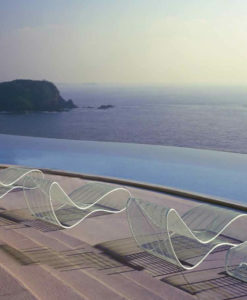 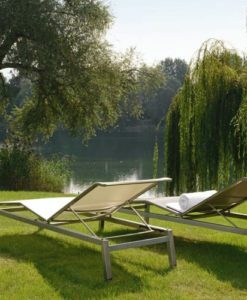 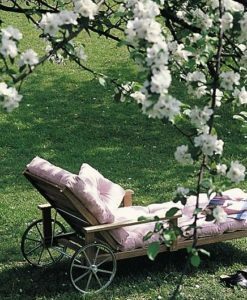 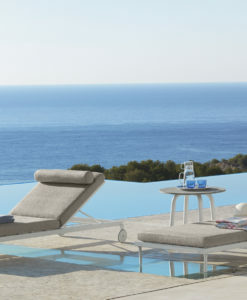 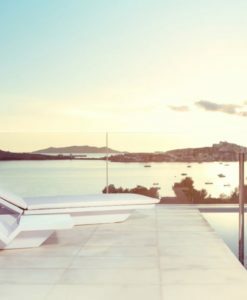 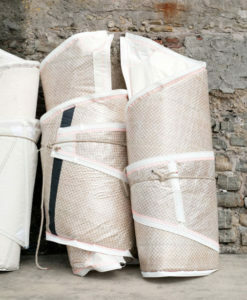 The latest European trend in contemporary outdoor design, style and function. 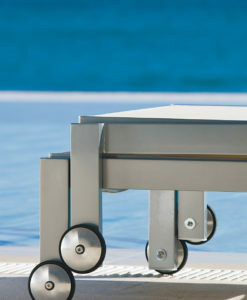 Sleek heavy platform base and side tables in black powder aluminum details. 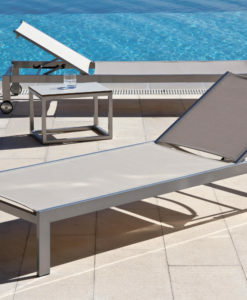 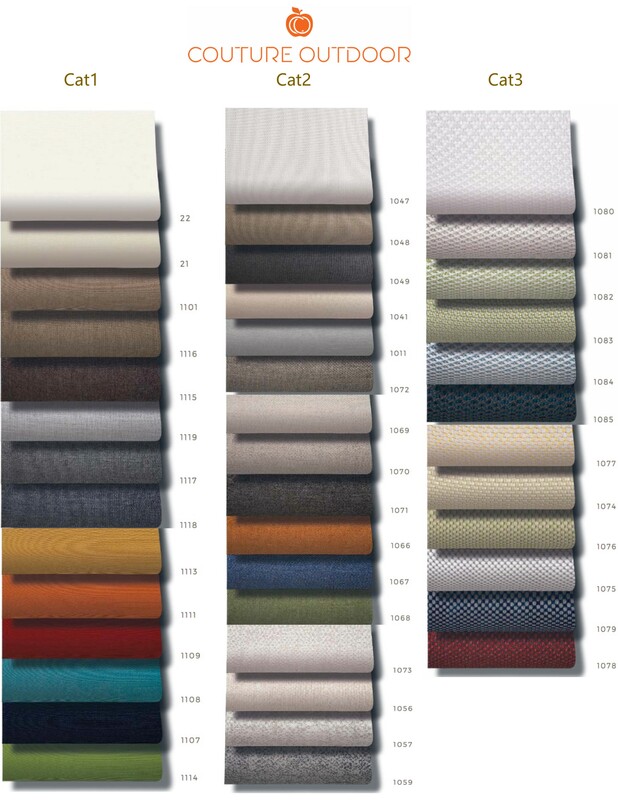 Generous size waterproof lined foam and easily removable cushions in choices of exclusive Euro-Sunbrella & Maria Flora fabrics. 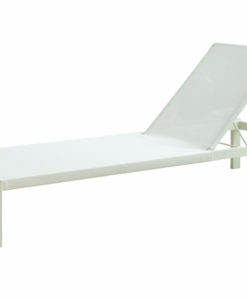 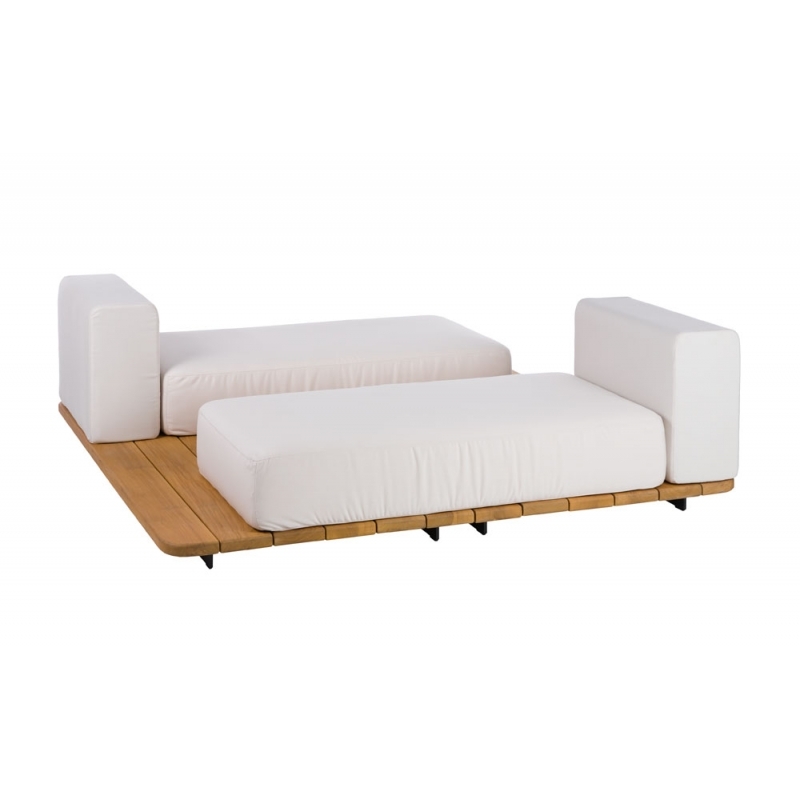 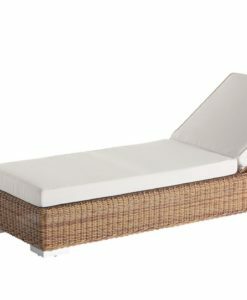 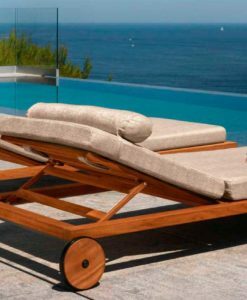 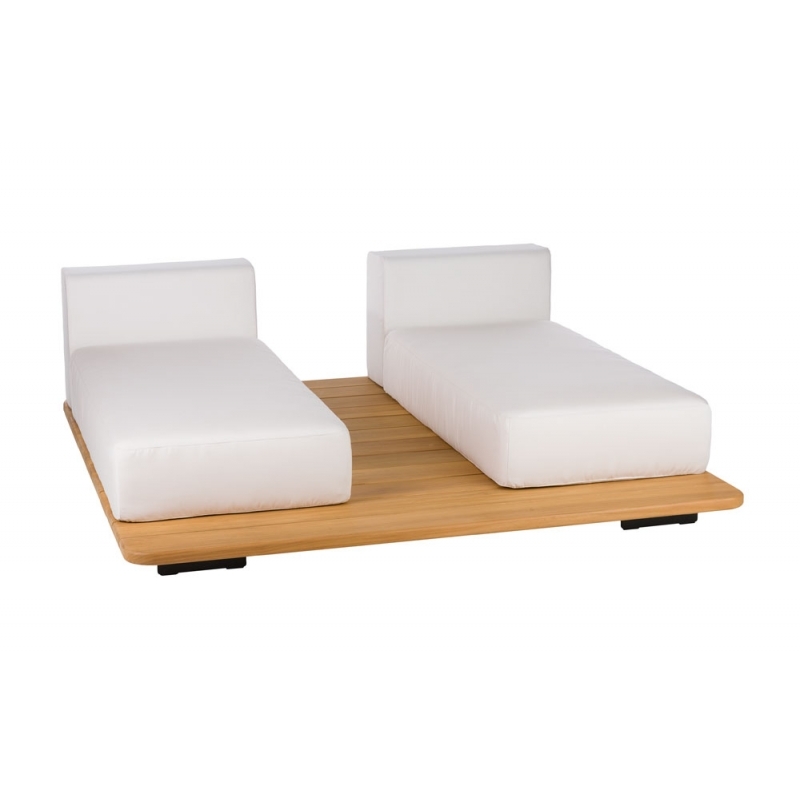 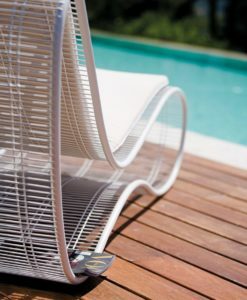 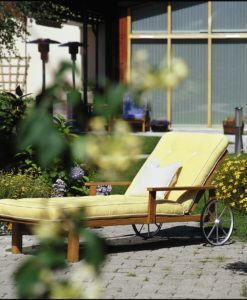 The teak is also available lacquered in white or any color for a maintenance free alternative. 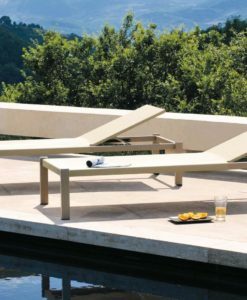 Simply choose your base and elements to create your very own outdoor oasis.